Capcom also revealed some pre-order details. 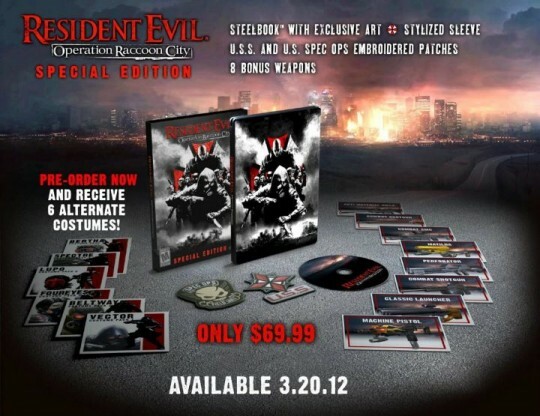 If you pre-order Operation Raccoon City from GameStop, Amazon or Best Buy, you will receive an additional costume for all six playable characters and two bonus weapons. Each retailer will have its own unique pair of weapons, unfortunately. Just curious, what's up with Biohazard and embroidered patches? Anyhow, this looks good, especially for the price. Can anyone confirm if this will be a NTSC exclusive or if it's worldwide release? As of right now it looks to just be a NTSC. I just hope they don't release something different for everyone else or else I will be having to import one. I hope the Pal release is different and with better content. Despte my previous complaining about there being too many CE's (HERE), this is one game I really hope DOES get an extravagant CE release here in the UK! I wish all regions would get a great CE at a just price. Which is problably not going to happen. Has anyone heard anything about this getting released in PAL regions yet? I think that's the standard game so the art cards and dlc codes should be in the game case in proper CE. It doesn't like EU is getting it. These publishers really need to start doing the special editions world wide rather than one country. 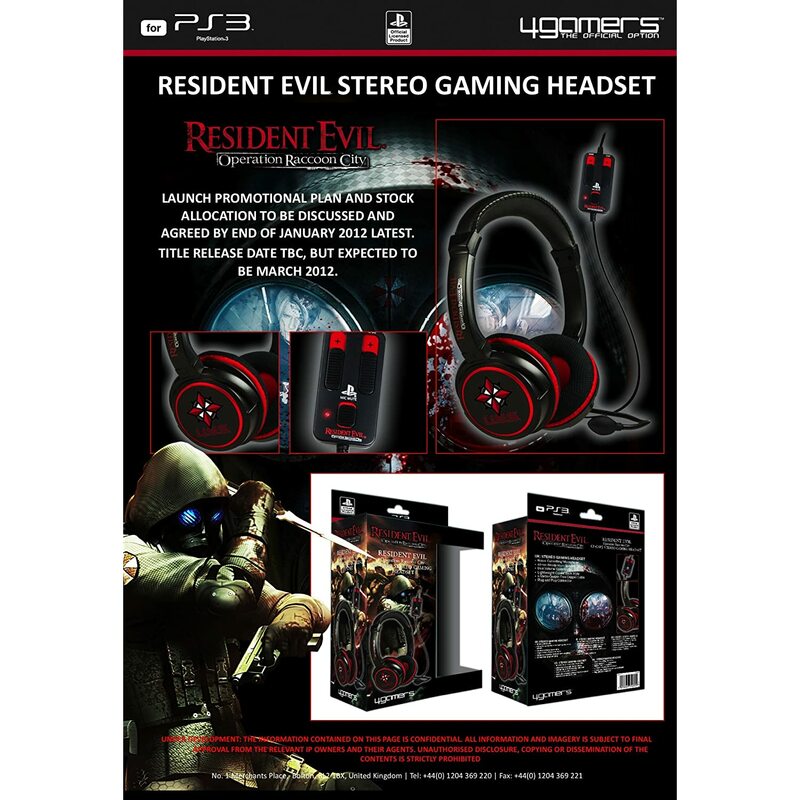 Dam my brother and sister getting me into resi when I was a kid! Maybe that Amazon.Co.uk will also start selling, cuz they are currently negotiating about the stock, it's probably going to be a limited stock. I pre-ordered mine, it looks cool with the RE emblem.